High-Performance, Economical Dry-Cast Release Agent? Check! Finding a high-performance, economical release agent for dry-cast used to be as likely as winning the lottery. But Dry-Cast producers have just won the jackpot. Dry-Cast Release produces concrete with an exceptionally clean and sharp finish. Nox-Crete Products Group is proud to announce that we have developed a release agent specifically formulated for pipe production: Dry-Cast Release, available now at a very competitive price. 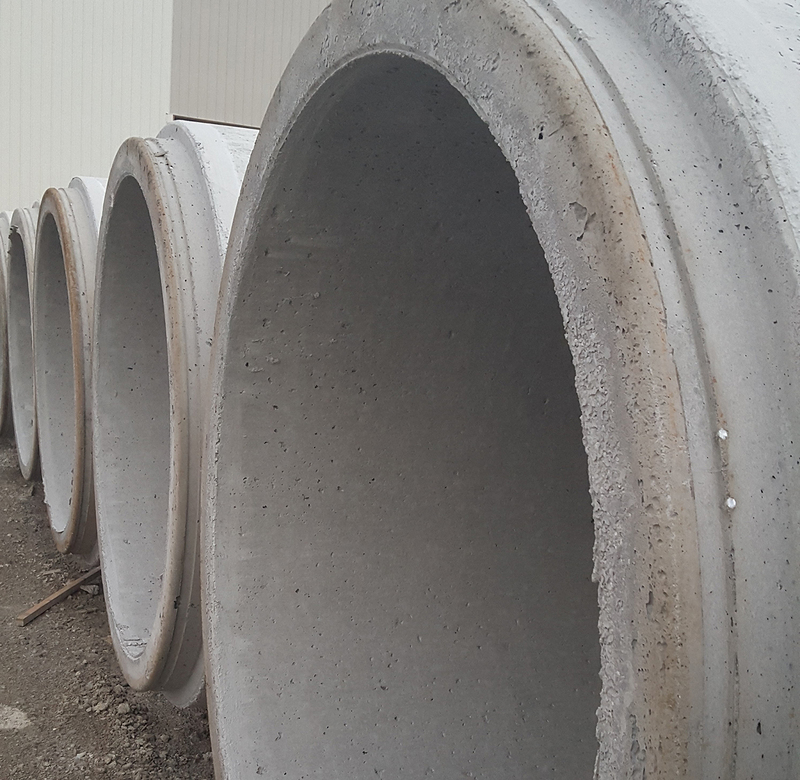 Nox-Crete has proudly served the pipe, precast and prestressed concrete industries for 60 years, and Dry-Cast Release is the latest high-performance product to join our family of chemical solutions to concrete problems. Our new, economical Dry-Cast Release formula has been tested and proven to give you an exceptionally clean and sharp finish, no residue build-up on pallets or headers and inherent biodegradability. Easy removal of pallet and header ring, minimizing damage and related patching and repair. Crisp release greatly minimizes chipping on spigot (tongue) ends at gasket recess. Minimizes form cleaning and maintenance costs – pallets and headers become self-cleaning with continued use. Does not impair the natural bonding characteristics of lubricating agents used on the bell end. You can learn more about how Dry-Cast Release works and how to use it by taking a look at the product data sheet. Please contact Precast Division Manager Jeff Bishop at 402-504-9228 or Precast Sales Manager Pat Linn at 402-504-9224 directly for more information or pricing. This entry was posted in Nox-Crete Blog, Precast and tagged Dry-cast, dry-cast release, form release, Form Release Agents, precast release on June 7, 2016 by Aaron Nussbaum. 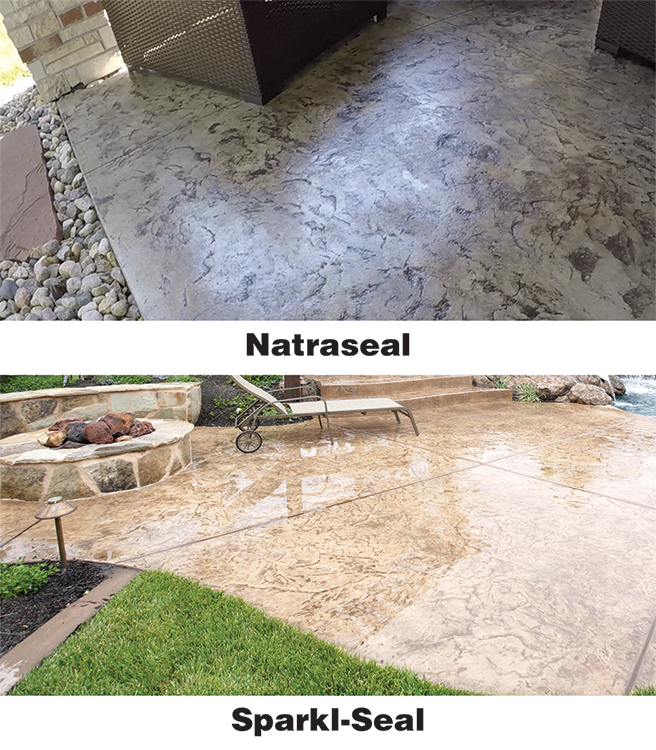 Natraseal is a breathable, solvent-based, non-yellowing, transparent acrylic copolymer, decorative concrete sealer blended for maximum working time and easy application. The clear sealer was designed to minimize common errors that can occur when applying traditional sealers, such as bubbles or whiting. Natraseal has longer working time than traditional 25% solids sealers and can be applied with a brush, roller or sprayer. This new generation sealer uses top quality resins and a solvent blend that penetrates deep into the concrete surface for enhanced breathability and less ‘capping off’ of the pores. Combined with UV inhibitors, Natraseal minimizes potential whitening or yellowing. Natraseal meets all Federal VOC requirements. It is not for use in Canada, California, LADCO or OTC States. Before applying Natraseal, remove existing sealers with Nox-Crete’s Deco-Strip or Deco-Peel. Sparkl-Seal is a premium acrylic sealer for decorative concrete that enhances surface colors with a glossy sheen while offering UV and wear protection. Sparkl-Seal penetrates and fills hairline micro cracks, increasing the integral strength of surfaces and creating a tough, non-yellowing acrylic coating over the surface that prevents spalling and freeze/thaw damage. The abrasion-resistant film also protects surfaces from absorption and damage from water, dirt, food, deicing salts, oil and grease. Solvent-based, Spark-Seal and Sparkl-Seal LVOC create a high gloss finish that gives treated concrete surfaces a desirable ‘wet’ sheen. Water-based Sparkl-Seal E offers a medium gloss finish for those who prefer a matte look. Each Sparkl-Seal is designed to resist yellowing, ensuring treated surfaces retain their ideal sheen. The solvent-based formulations also contain UV inhibitors for added protection. This entry was posted in Decorative, Nox-Crete Blog on June 7, 2016 by Aaron Nussbaum.